The former FADER cover star, along with her bf’s band DIIV, performed at a charity do organized by the revered director. 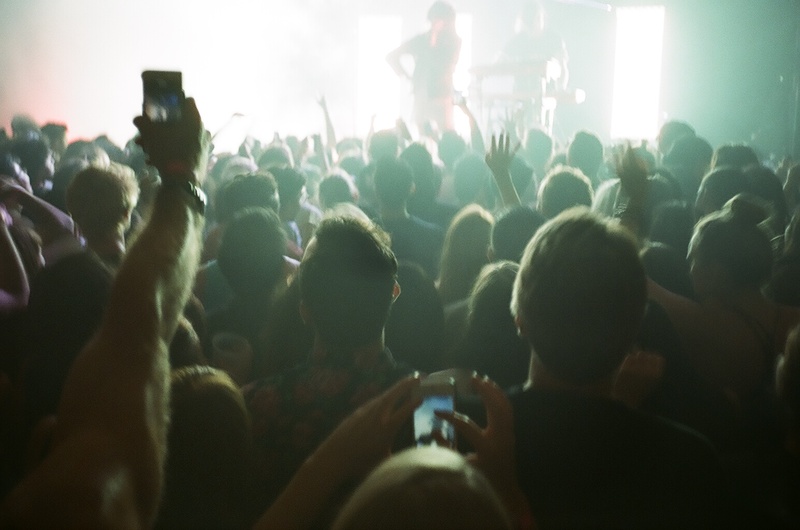 On the night of Wednesday, July 9th, former FADER cover star Sky Ferreira headlined the Williamsburg Music Hall with special guests' DIIV, the band fronted by her boyfriend Zachary Cole Smith. The family affair was a fundraiser concert in honor of the David Lynch Foundation. Lynch, who is best known for his surreal films, has become a public advocate for transcendental meditation in recent years. His book, Catching the Big Fish isn't a fishing guide, but a manual on tapping into one's subconscious to maximize serenity and creativity. Lynch has been practicing the technique for decades, and credits transcendental meditation for his incredible imagination. The David Lynch Foundation has outreach programs to veterans, victims of abuse, and at-risk students. Speaking of transcendence, DIIV's opening set brought the audience to a super-saturated, trance-like state. The long-haired rockers performed a gorgeous set of melodic guitars in front of Cole's dreamy home videos. 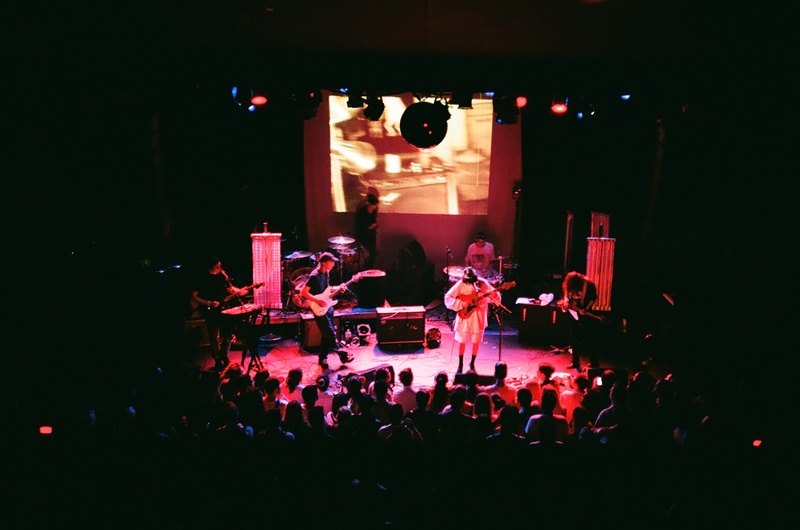 The band's strong aesthetic has clearly won them tons of fans—all of their NYC shows that week were sold out. After her boyfriend left the stage, it was Ferreira's turn to perform tracks off her debut album Night Time My Time and her Ghost EP. Sky was clearly stoked to be performing in honor of her hero, and confided in the audience that "transcendental meditation saved my life." After the set, the groups left together to celebrate the birthdays of Sky and DIIV drummer Colby Hewitt. It was a special night for everyone involved, and it was nice to see #SkyDIIV performing together for a good cause. 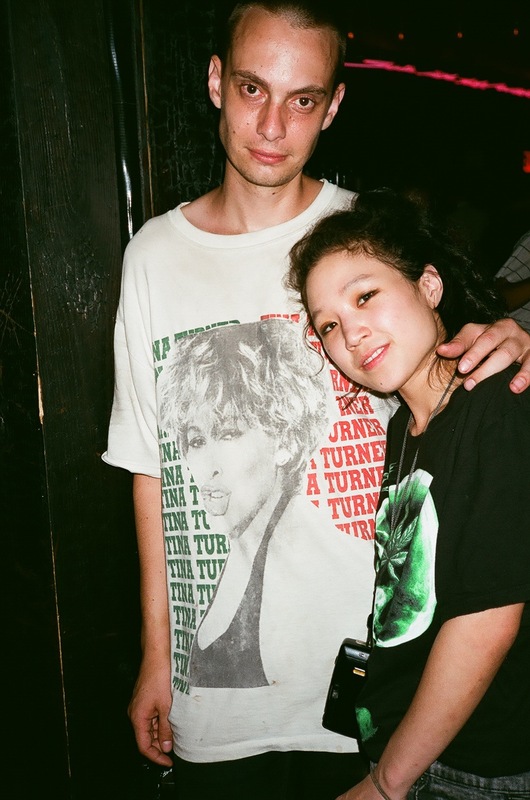 DIIV's Colby Hewitt with photographer Sandy Kim.